When the overbearing parents of billionaire Mike Woodley move back to town and reclaim the family home, he’s ready to escape to his new house. First, he needs an interior decorator. Local artist Darren Williams could be the answer to his prayers, until he insults her. But to pay off yet another of her sister’s gambling debts, she puts her bruised ego aside and accepts the job. As they work on Mike’s house, the sexual attraction between Mike and Darren ignites, though neither wants anything more than a fling. Darren is still getting past the death of her fiancé, and the marital discord in Mike’s family has discouraged him from settling down. Still, they can’t stay away from each other, until family matters intervene. Before their relationship can move on, Mike has to confront his family’s expectations and Darren must allow her own family to help her for once. Did he have any idea how this mere contact awoke the nerve endings behind her ear? Momentarily, she was glued in place, telling the rest of her body to ignore the shock waves rippling down her neck to her lower region. Even in the room’s dim shadows, she could tell when his eyes went smoky. “This room is giving me ideas I probably should ignore.” He paused, stared directly in her eyes, giving her a chance to decide the next move. “Let’s check out the other rooms.” His voice had gone hoarse, urgent. Back in college I took a course on Interior Design on a pass/fail basis because I needed an elective and the idea appealed. Since that time I’ve had a secret desire to be an interior decorator someday when I grow up. For practice, I’ve used my first two apartments and then my homes as my living labs. (By the way, I did pass my course, although I still can’t fathom why the color scheme for my final project, a kitchen, featured a color scheme of turquoise and orange.) It’s interesting how the color palette I’ve used over the years has changed; I wouldn’t go so far as to say “evolved.” My first apartment living room was based around our first sofa, a tweed of lemon and teal. The living room of our first home was wedgewood blue and lemon yellow. Wedgewood blue, mauve, and cream took over the living room of our second home. 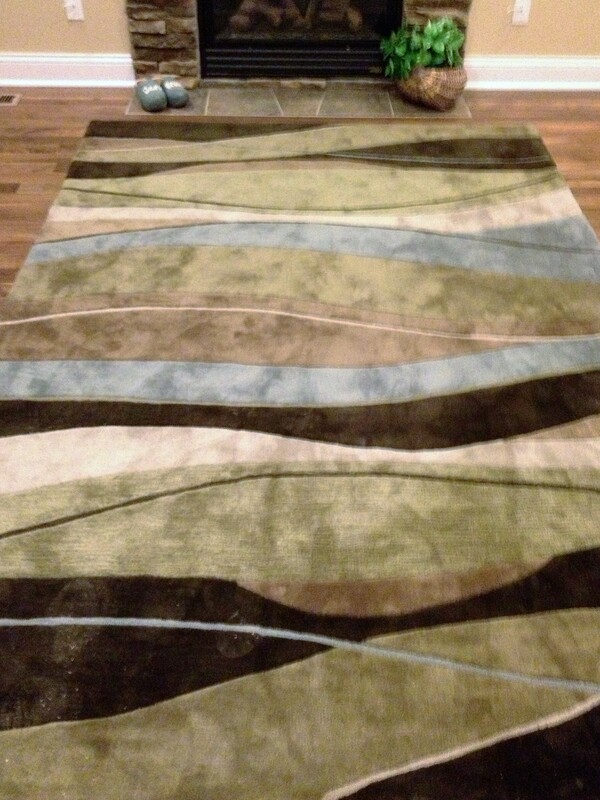 In our current home, I used the new area rug as my inspiration: wedgewood blue, olive green and brown. I know, there’s a pattern there, but blue is my favorite color. However, I went a new direction in our condo: Havana brown, dark red, and caramel, my husband’s colors. If I were selecting living room colors today, I’d turn to dove gray and silver with accents of blue. I used Darren’s experience decorating Mike’s new house in this story as an opportunity to play around with different colors. In this case, a very subtle light yellow wall color and medium shades of brown for furniture. However, read on, and somewhere in that color scheme you’ll find blue. My husband started out teaching art education. Although he later went into information technology management, his interest in art is still there. These days he’s into carving. I used what I’ve observed him doing and talking about over the years as I described Darren’s work as an artist. As for Mike’s being a billionaire, well, thus far no personal experience with that one. That was the fun part of writing him, imagining what it would be like to be in his shoes. When her father’s heart problems sideline him, Shae Harriman agrees to oversee Sullivan’s Creek, the largest residential building project the company has ever tackled.Though she has the education, her lack of management or supervisory experience, alienates her crews. Megastar singer Ned Collier undertook Sullivan’s Creek to get his mother into safer housing while he is on the road. But he’s running out of money and doesn’t want her, or anyone else, to know. To Shae’s consternation, he insists on serving as project manager to control costs. Their inexperience, pitted against her desire to succeed, his penny-pinching, and high stakes construction issues propel them into each other’s arms. Can they build a life, as well as housing, together? The invitation just slipped out. But once offered, she knew this was exactly what she wanted, despite all the arguments she’d given herself. A muscle twitched on Ned’s forearm. Probably involuntary, but the movement shot ripples of pleasure throughout her body. Yes, this was what she wanted, all right, discretion be damned. His eyes narrowed into a blur of gray curiosity. He eyed her, probably to figure out how to rebuff her advances gently. But she’d put herself so far out there that anything he said or did other than drag her off to bed would be a rejection. Why had she set herself up like this? Although it’s difficult if not downright impossible for me to pick my favorite of the books I’ve written, I feel especially proud of “Tango,” because this one is about the construction phase of Sullivan’s Creek. It was written while my husband and I built our second dream house. This was our downsized home for our later years complete with walk-in shower, office for me on first floor, engineered walnut wood flooring, and a man-cave woodworking shop for my husband. I was there on the lot every few days in the summer of 2013 taking photos of each phase of the building process so this story could reflect the same. 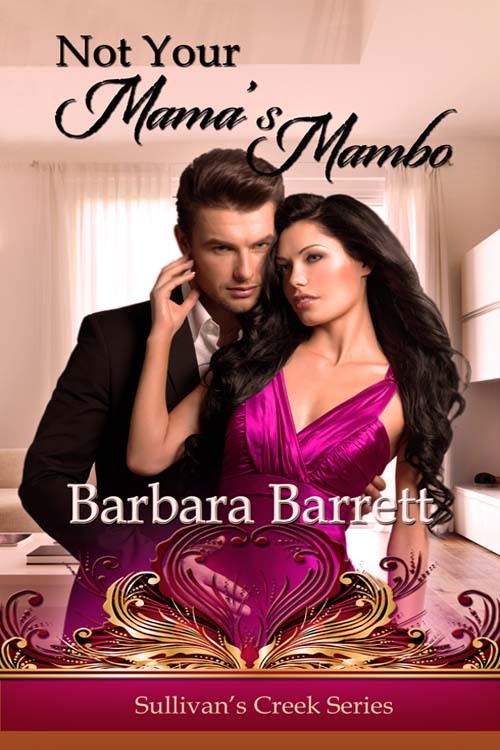 Some of those photos are posted on Pinterest, http://www.Pinterest.com/barbarabarrett7/tough-enough-to-tango. My husband even served as technical adviser on the book, so I wouldn’t botch up the terms or confuse the process. This book is also special in that it is a “reincarnation” of the original manuscript. The first version of this book was finished a few years ago. I left it alone for a few months while I moved on to another manuscript. During that period, the flash drive on which it was stored became corrupted. Though shaken when I discovered the problem, I wasn’t worried because I had a back-up on my external drive. However, when I went to retrieve that version, it wouldn’t convert. After several months of attempting every means I could find to “uncorrupt” the flash drive, I finally had to concede defeat. Fortunately, I’d kept an earlier version of the first part of the book on another flash drive and had paper copies of the excerpts of later chapters I’d sent to my critique partners. It took several more months to recreate as much of the original version as I could remember. Along the way, I made more revisions and hopefully enhanced the manuscript even more. In real estate, they say, “Location, location, location.” In writing, it’s, “Back up, back up, back up. Junior architect Lacey Rogers welcomes the opportunity to work with Jack Dalton, the firm’s golden boy, that is, until her hormones can’t resist his charm and spectacular looks. How can she keep her mind on their design project when her most potent designs are on him? Jack Dalton has always worked alone. Now he’s got a partner. Is he losing his touch? Is that why he hasn’t been named principal yet? To make matters worse, he can’t take his eyes off the petite piece of fluff. If he can’t find some way to cool his jets, he won’t be able to keep his hands off her either. 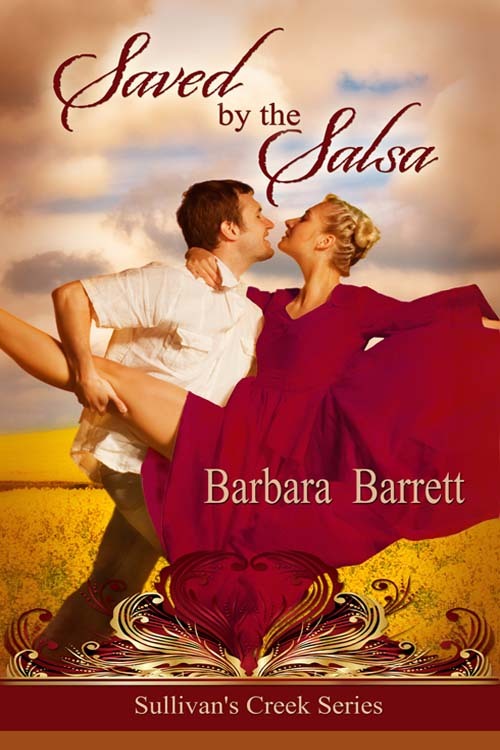 But on the dance floor, their mutual resistance melts as their bodies meet in the vibes of the Salsa. Can the dance keep them collaborating after the music ends? Jack didn’t know how much longer he could keep his libido intact with Lacey’s body sprawled over him. Parts of his own body had already rebelled and shown up ready for business. Every time he tried to speak, he inhaled the scent of lilacs. Who’d have thought this little blonde fluff ball could turn him on like this? Like he hadn’t been with a woman in months. His body had never reacted so swiftly to one of his other lady friends. Just what he needed. Another female thinking she’d corralled him. Hell. That’s exactly what she had done, though if she’d tried, she never could have intentionally pulled off a stunt like this. Great. Now she knew the state his body was in. Last thing he wanted her figure out. Would she panic or take advantage of the situation? He was running out of ideas, at least, escape plans. They were stuck here a while, literally, until Cam got bored and came looking for them. Then there’d be another kind of hell to pay. Cam would think he’d deliberately snared the junior architect into this prison. For once, he regretted his reputation as the office lothario. Why hadn’t he thought to change before making this trek? Even the novice had known enough to wear hiking boots. If he hadn’t been wearing these new tasseled loafers, he might have stood a better chance of negotiating this hill. Instead, a couple steps on the slick ground and he’d gone sailing pell mell down the side and right under this monster of a tree. Talk about your slippery slopes. Should have known better. Where was his cell phone? Of course. He’d stuck it in his slacks pocket just before sailing out into the soggy field. “On second thought, I do have my cell on me,” he told her abdomen.